Kenya - Various studies on trafficking in persons in East Africa have confirmed that human trafficking is not only prevalent but also rampant in the East Africa region, which is a source, point of transit and destination for trafficked men, women, and children from Uganda, the United Republic of Tanzania, Kenya and Rwanda (IOM’s Guidelines for Assisting Victims of Human Trafficking in the East Africa Region Handbook). The counter trafficking work of IOM, the UN Migration Agency, is anchored on two Sustainable Development Goals (SDGs) which are Goal 5 on Gender Equality and Goal 8 on Decent Work and Economic Growth. 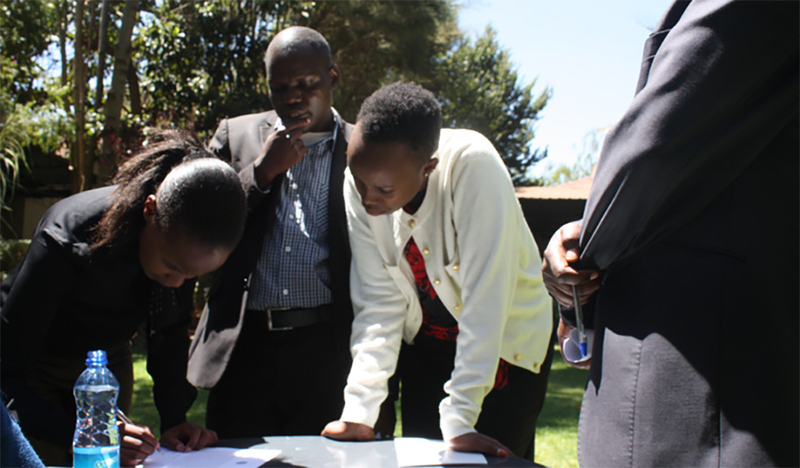 IOM has been supporting the Government of Kenya through the Ministry ofLabor and Social Protection, by building capacity of government officials and key stakeholders in the fight against trafficking in persons. 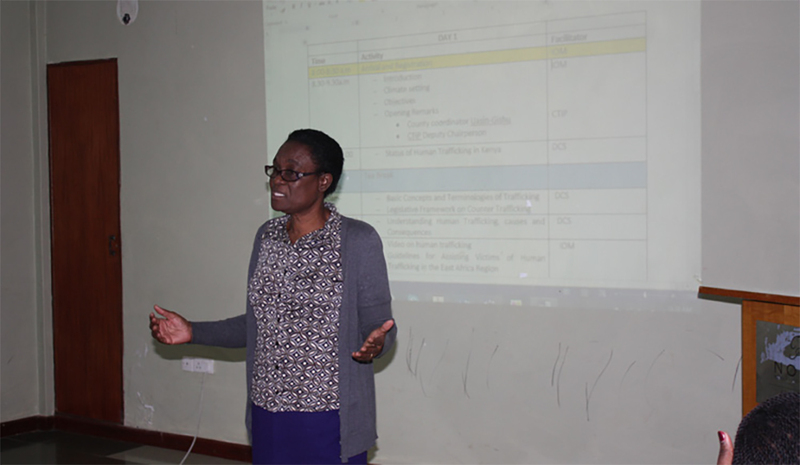 In this light, IOM facilitated a two-day capacity building workshop held in Uasin-Gishu County, from 11 to 12 February 2019, in partnership with the Counter Trafficking in Persons Secretariat (CTiP).The workshop was attended by 28 participants (15 male and 13 female) from the office of the County Commissioner Uasin-Gishu, Department of Children Services, Ministry of Labor, Ministry of Health, Department of Information, Judiciary, law enforcement, NGOs and the clergy. The workshop was part of the Better Migration Management (BMM)programme aiming at equipping the various stakeholders with knowledge on identification of victims of trafficking, the counter trafficking in persons Act and the National Referral Mechanism (NRM) for assisting victims of trafficking. BMM is a regional, multi-year and multi-partner programme funded by the EU Trust Fund for Africa and the German Federal Ministry for Economic Cooperation and Development (BMZ). IOM is one of the main implementing partners alongside UNODC, GIZ, Expertise France, Italian Department of Public Security, CIVIPOL, and the British Council. 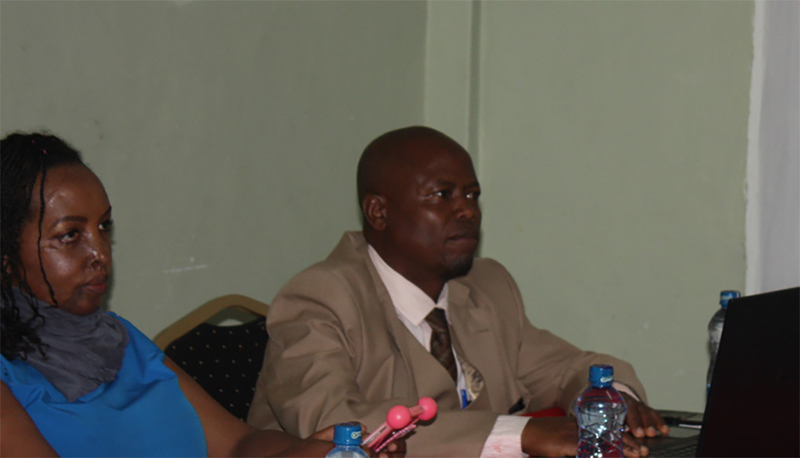 During the workshop, Mr. Charles Kiprono, County Coordinator from the Department of Children Services noted that ‘Uasin-Gishu is a pivot point for human trafficking.’ He added that it should be a collective responsibility in fighting against trafficking of persons as no county can fight this crime on their own and protect the victims. Ms. Elizabeth Mbuka, the Deputy Director of the CTiP Secretariat, singled out children as being the most vulnerable to this crime, a trend that is perpetuated by derogative cultures, where some communities believe children’s body part would make them rich faster. 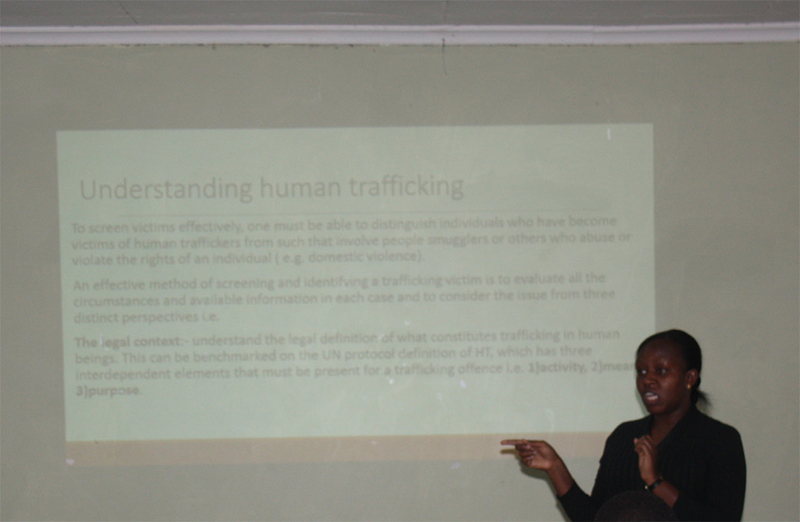 “As key players on theissue of trafficking in persons, you should implement some of the skills and knowledge you have acquired from the workshop so that you can effectively fight trafficking in persons as well as assist the victims in the most appropriate way,” she emphasized. Mr. Mika Ngune, County Health Education Officer, expressed his concern on the disconnect between prosecution of traffickers and number of victims assisted. He observed that there is need to ensure all the trainings especially on human trafficking have health personnel involved since they are among the first responders on cases of victims of trafficking. The stakeholders identified the most prevalent forms of trafficking in the County were on domestic work exploitation and early marriages.Children are more affected as they are recruited from Turkana and Uganda to work in houses and farms.Ms. Veronica Musyoka, the Assistant County Commissioner, mentioned that it is prudent to have specialized trainings for the law enforcement and the judiciary to ensure such cases are handled the right way without causing any harm to the victims.